The state of Queensland is the beef production capital of Australia. At last count (2015), it had 11.7 million cattle, which was more than double its human population, and nearly double the cattle population of its nearest beef-producing rival, New South Wales. Land clearing for beef production in the two states is the reason the World Wide Fund for Nature (WWF) nominated eastern Australia as one of eleven global deforestation fronts for the twenty years to 2030. The states are also fierce rivals in rugby league, and the sport provides an opportunity to highlight the extent of land clearing. In Queensland alone, from 1988 to 2015, an area equivalent to nearly 11 million rugby fields was cleared for pasture. [Footnote] That’s a rate of three-quarters of a rugby field per minute, and represents 91 per cent of total land clearing in the state. The figures include clearing of regrowth, demonstrating the resilience of forest and other wooded vegetation if given the chance to regenerate. But it is seldom given such a chance in Queensland. A partial ban on broadscale clearing, introduced in 2006, was overturned by the conservative Liberal National Party government in 2013, and clearing is now accelerating. The problem is illustrated by the following chart. In New South Wales, the Native Vegetation Act was repealed by the conservative Liberal Party government in late 2016, with an anticipated loss of biodiversity and increased land clearing. The clearing contributes significantly to: loss of biodiversity; the release of carbon contained in the vegetation and soil; and an ongoing loss of carbon sequestration. The carbon emissions are not allocated against livestock production in official greenhouse gas inventories, causing livestock-related emissions to be understated. The clearing, along with cattle grazing in cleared and uncleared areas, causes soil to be eroded and carried by adjoining streams and rivers to the coast, significantly affecting one of the world’s natural wonders, the Great Barrier Reef. The Queensland Government’s 2013 Scientific Consensus Statement confirmed that beef production in the surrounding catchment was responsible for 75% of sediment, 54% of phosphorus and 40% of nitrogen in the reef’s waters. Jon Brodie is the Chief Research Scientist at the Centre for Tropical Water & Aquatic Ecosystem Research, James Cook University. He has reported that the sediment and nutrients, along with pesticides, have caused: (a) the waters of the reef to become cloudier, thereby reducing the sunlight available for the growth of corals, seagrass and marine algae; (b) increased frequency of crown of thorns starfish outbreaks, increasing the rate of coral deaths (responsible for 42 per cent of coral loss from 1985 to 2012); (c) some reefs to become dominated by algae and other organisms, rather than coral; and (d) an increase in coral diseases. The government’s most recent Reef Water Quality Protection Plan report card scored graziers’ response to the calamity a “D” for “poor”. The following image shows sediment that has been carried to the coast along the Burdekin River, where some of the highest cattle numbers are found. In late 2016, the Climate Council of Australia released a video of chairman Tim Flannery, commissioner Lesley Hughes and CEO Amanda McKenzie snorkeling in the waters of the reef. They were expressing grave concern about the reef’s condition, but said nothing about the devastating impact of beef production. The Climate Council’s silence might not be surprising when you consider Flannery’s close association with the livestock sector, including his former contract with Meat & Livestock Australia. However, I am not in a position to say that any person or organisation has tried to influence others, or that any person or organisation has been influenced. Nevertheless, I feel it’s worth noting that a search for the word “beef” on the council’s website yields only four results, while the term “fossil fuel” yields one hundred and seventy. Even then, three of the items on beef, and their related reports, were expressing concern over the adverse impact of climate change on its production, rather than the other way around! Could you imagine the council expressing concern over a reduction in coal production? The one short website article (for which there was no related report) that raised some concerns about the impact of animal-based foods was not published until October 2016, more than five years after the councilors came together in the council’s predecessor organisation, the Climate Commission. In that article, the adverse impacts were conservative, and the council still couldn’t help itself; it concluded with comments not on the livestock sector, but on power generation. At a Melbourne presentation in April 2013 by Flannery, McKenzie and fellow climate commissioner, Will Steffen, I pointed out that the then forthcoming discussion paper by climate change campaign group Beyond Zero Emissions and Melbourne Sustainable Society Institute (University of Melbourne) would indicate that animal agriculture was responsible for around 50 percent of Australia’s greenhouse gas emissions after allowing for various factors, such as: livestock-related land clearing; soil carbon losses; shorter-lived greenhouse gases; and a 20-year “global warming potential“. The response was lukewarm, and I received no meaningful response to a subsequent email on the matter. Terrastendo: So the reef is telling us that? Why aren’t you telling us about the impact of diet? Terrastendo: Could that algae be caused by the run-off from cattle farms, which also reduces the coral’s resilience? Terrastendo: What, just talk about it? No need to avoid eating meat? Terrastendo: But still nothing about diet? Isn’t that important too? What are you eating at the dinner table? As if all that’s not bad enough, land clearing in Queensland may be entering a new phase of growth, primarily driven by beef production. WWF has recently released a report with the title, “Accelerating bushland destruction in Queensland”. The report includes the following map, showing notifications of 10 hectares or more under the self-assessable codes from end of July 2016 to February 2017. Those marked in purple are within the Great Barrier Reef catchment. The smaller icons indicate notifications of 1-10 hectares, while larger icons indicate notifications of more than 100 hectares. After adjusting for anomalies in the data, WWF reported that notifications jumped fifty per cent from January to February 2017. In late March, 2017, Australian Prime Minister, Malcolm Turnbull and Chinese Premier Li Keqiang, jointly announced a major extension to the China-Australia Free Trade Agreement (ChAFTA), allowing an increase in chilled meat exports from Australia. The announcement was described as a “huge win” within the Australian beef sector, but at what cost for the country’s environment and other sectors of the economy, such as tourism? The dramatic increase in livestock-related land clearing in Queensland and New South Wales, with its devastating environmental consequences, could have been strongly influenced by ChAFTA (the first phase of which was announced in November 2014) and its recent expansion. Australia’s response to the rapidly increasing demand for red meat in China could contribute significantly to the eventual demise of the Great Barrier Reef. The minority Labor government in Queensland, elected in 2015, had sought to reintroduce the ban on broadscale land clearing, but was unable to generate enough votes in parliament. So what else could it do? In an effort to reduce erosion run-off from uncleared lands, it purchased the 56,000 hectare Springvale cattle station on Cape York (north-west of Port Douglas and twenty kilometres north of the Daintree National Park), with the intention of removing the cattle and rehabilitating the station’s stream and river banks and gullies. Here’s an ABC news bulletin from June 2016 (duration 2:24). As stated in the report, this one property has been responsible for forty per cent (500,000 tonnes) of sediment flowing into the Normanby River system. That system, in turn, contributes around fifty per cent of the total run off to the northern section of the reef. However, with 4,300 cattle, it has only a tiny percentage of the cattle population within the overall Great Barrier Reef catchment area, so it seems much more work is required. Environment minister, Steven Miles, has said the state may purchase additional properties that are also polluting the reef system. A telling segment of the video shows a man walking through a massive gully (much taller than himself) created by generations of cattle grazing. 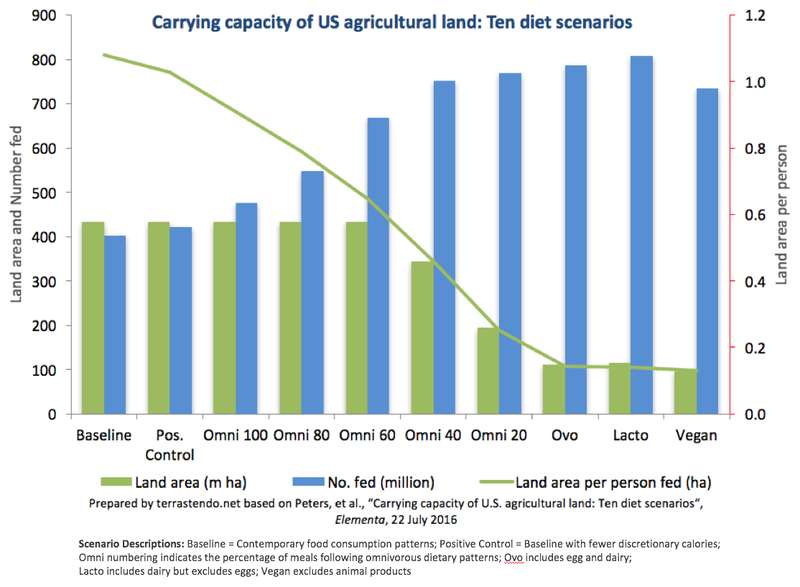 The massive extent of livestock production and its destructive environmental impacts are almost universally under-stated by environmental organisations, and conveniently ignored by governments looking to satisfy electorates with supposedly positive short-term economic news. With that sort of selective vision, the eventual outcomes may be catastrophic for our natural environment and the people and economies ultimately depending on its well-being. Any opportunity that may remain to avoid disaster is rapidly disappearing. At 8,400 square metres, the area of a rugby field is 56 per cent larger than that of an American football field (5,363 square metres) and between 2 and 31 per cent larger than that of a FIFA soccer field (6,400 – 8,250 square metres). For clarity, the term “the overall area” has been replaced with “the figures” in the fourth paragraph. 5th August 2017: Two paragraphs have been amended to clarify the fact that erosion from cattle grazing occurs on uncleared, as well as cleared, land (consistent with many of my previous articles).